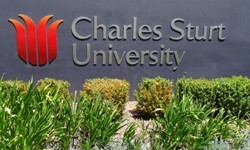 The Charles Sturt University (CSU) Centre for Law and Justice continues to soar in students’ overall satisfaction rates. CSU and the NSW Police Force have partnered to present the CSU International Policing and Security Conference 2018 in Sydney in early November. A newly published book by a Charles Sturt University (CSU) academic warns that intelligence communities in ‘Five Eyes’ countries (Australia, Canada, US, UK and New Zealand) need to review capability gaps relating to managing emerging biosecurity and bioterrorism threats. Policing students learned the value of up-to-date investigative interviewing software at a recent residential school at CSU in Port Macquarie. Charles Sturt University (CSU) and AUSTRAC launch a Financial Intelligence Analysts Course (FIAC) that will put Australia at the forefront of professional expertise in fighting serious financial crime and terrorism. Prisons are big business in Australia and Dr Kath McFarlane Deputy Director of the Charles Sturt University (CSU) Centre for Law and Justice has commented on the economic arguments for and against private prisons in a recent interview with The Conversation Business Briefing. Extensive research into assessing the effectiveness of educational simulation programs for frontline responders has won international recognition for CSU academic, Dr Amanda Davies. A CSU legal expert and her team have shown the Royal Commission into Institutional Responses to Child Sexual Abuse that some views used to discredit victims of child abuse are not supported by current scientific evidence.